Description: DNA uptake by a cell. High resolution image. In this process, a foreign strand of DNA (blue) enters the cell, and the cell's colour changes to match that of the new DNA, indicating that genes in the new DNA are being expressed. 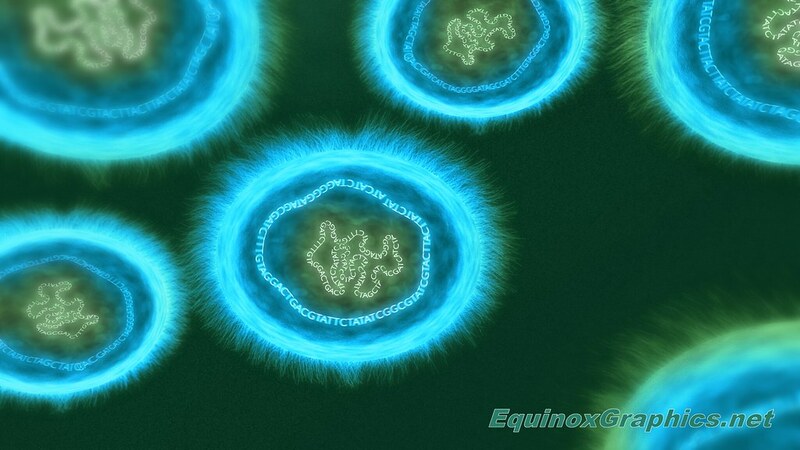 There are numerous examples of new DNA being incorporated into cells and expressing its genes. For instance, specific genes can be artificially introduced to bacteria to confer desired properties, such as the ability to produce the hormone insulin.